A number of our people have narrated from Ahmad ibn Muhammad ibn Khalid from Isma'il ibn Mehran from Aboo Sa'id Al-Qammat from Aban ibn Taghlib from Aboo Ja'far (a.s), who has said the following: "When the Holy Prophet (saw) was taken to visit the heavens, he asked, 'O Lord, how is the condition of the believers before you?' He (swt) said, 'O Muhammad! Whoever insults any of My friends has declared war against Me. I am the quickest to help My friends. I have not hesitated in any of My acts as much as I do at the time of the death of a believer who dislikes death and I dislike to disappoint him. Of My believing servants there are those who do not perform well without wealth and if I change his condition he is destroyed. Also among My believing servants are those who do not perform well unless they are poor and, if I change their condition to something else, they are destroyed. For seeking nearness to Me there is no better means for My servant than to fulfill what I have made obligatory for them and that he should seek nearness to Me through performing optional acts of worship (Nafila) so I will love him. When I will love him I will be his ears with which he will hear, his eyes with which he will see, his tongue with which he will speak and his hands with which he will perform his activities. Whenever he prays I will answer him and, whenever he asks a favour, I will grant him.'" 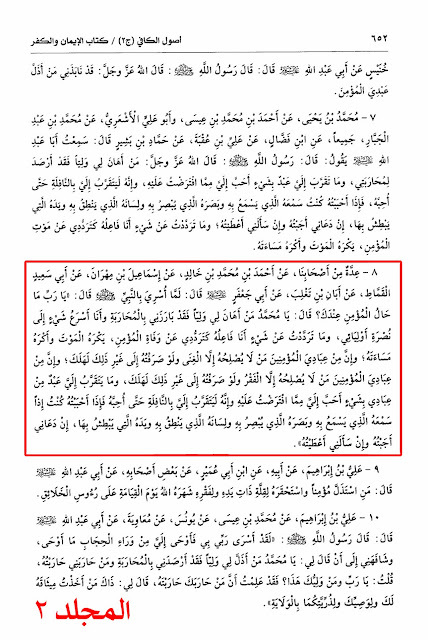 Grading: Al-Majlisi I: It is Saheeh (Authentic) Rawdhatul Muttaqeen. Vol. 1, Pg. # 311. Al-Majlisi II: It is Saheeh (Authentic). Sheikh Al-Baha'i: The chain of this hadeeth is Saheeh (Authentic). 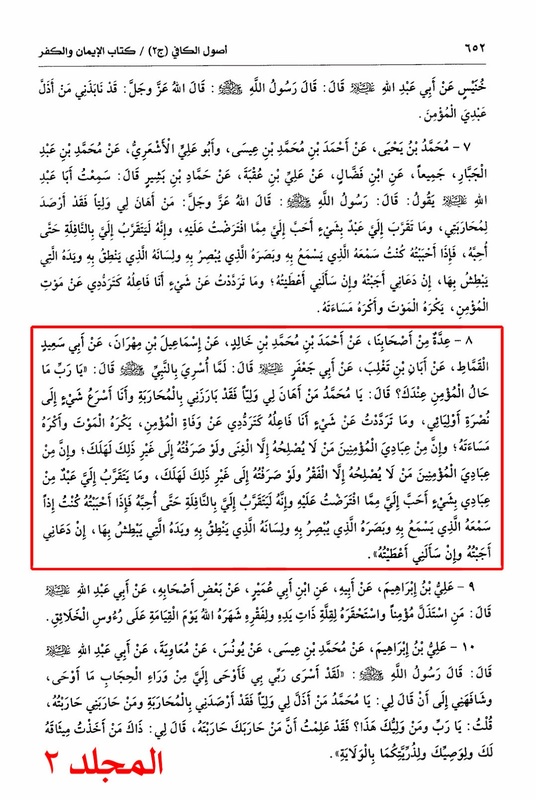 Source for hadeeth grading: Mir'atul Uqool. Vol. 10, Pg. # 383. Source: Usool Al-Kafi. Vol. 2, Pg. # 652, H. # 8.